With generous support from the Shenandoah Valley Battlefields Foundation, the Stone House Foundation published this important research by historian Jonathan A. Noyalas in 2007. Focusing on the trials and accomplishments of the African Americans who lived and worked in Newtown/Stephensburg before, during and after the Civil War, Noyalas tells a story that has been largely overlooked by many historians. In addition to addressing the rise of abolitionist sentiment among some of the townspeople, he also discusses the establishment of the local “free black” community of Crossroads in the decade before the hostilities began. Noyalas also draws on previously unpublished primary sources to tell the stories of town residents, both free and enslaved, during the war years. He chronicles how they dealt with the setbacks and challenges of the war. Among the stories Noyalas recounts is the tragic suicide of a local free black Union supporter named Lee Jenkins. Jenkins had been captured by Confederate troops in June of 1863. Fearing a future in slavery he broke free as he was being marched south through Newtown with other prisoners, only to jump and drown himself in a well. In the end Noyalas discusses the relatively good relationships that developed between the white and black communities in Newtown during the years after the end of slavery. While hard feelings may have existed on both sides of the racial divide, the majority of the town’s inhabitants seemed to have preferred cordiality and respect for one another. This book is a valuable resource for anyone interested in local African American history and the Civil War. 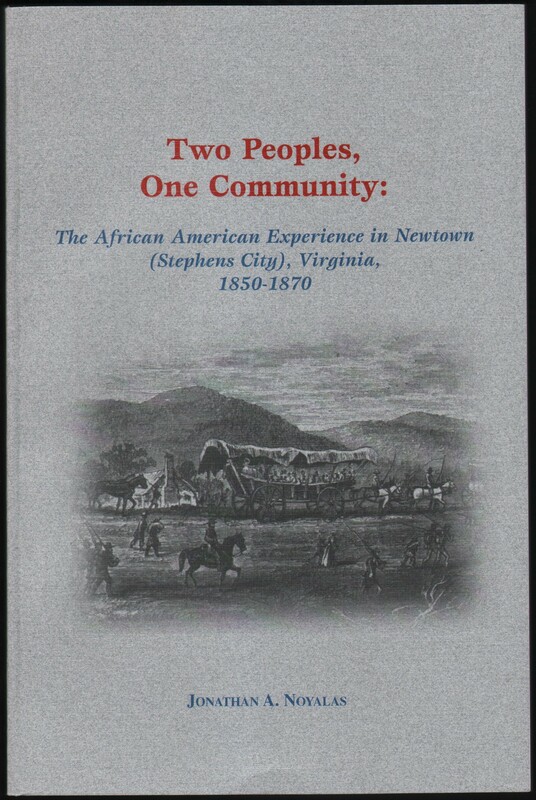 Copies are available at the Newtown History Center.